Hold tight, people. We're almost there. We've come too far to give up now... Though I'm not sure how you could give up on "time moving forward" and just decide to quit it (without talking about time dilation or other, less-than-savory topics. O,o). Anyway, it's Friday and that means we're at the gateway to the weekend. Best to gather supplies in the form of some bite-sized stories. 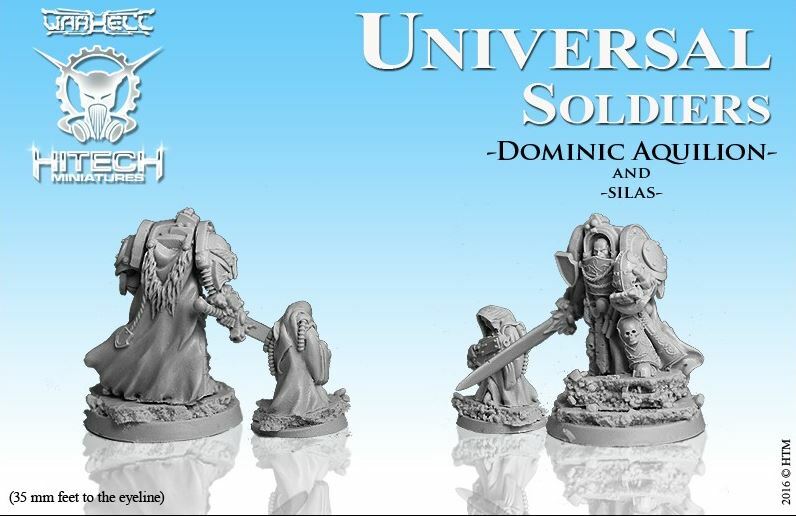 Today's snippets includes: Symbaroum Being Translated Into French, DGS Games Previews Sunbringer for Traazorites on Kickstarter, Siren Miniatures Troublemaker Bundle Available Now, Hitechminiatures new releases, Khurasan releases 15mm Afghan Mujahideen/Taliban, and New Panzerschreck team. It has been a well-kept secret for the last month, but today Järnringen is happy to announce that the publisher A.K.A. Games have acquired the license to translate Symbaroum into French. This means that we will see the game in four major Européen languages before long – aside from French, also in English, German and Spanish – and this only three months after the early release in English, before the English Core Rulebooks have reached retailers. 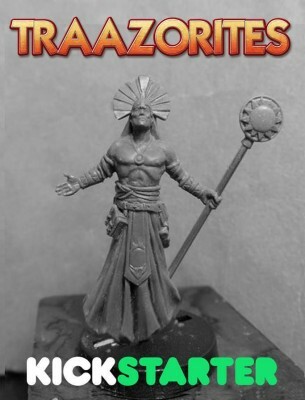 Traazorite Sunbringers are all about faith - faith in Runah the Sun God. We are all about faith too, faith in you! We have faith that you will help us see this project through and help us give you this awesome new faction. And you know, it does not take much. If you get one person to back us, just one person, and you ask them that they get one person and ask that person to keep the chain going, we would not just fund, we'd go viral - and that would allow us to do some pretty amazing things. Think about it. Get one friend to back us and ask them that they get one friend and so on. A simple act like that and boom - all the Traazorites you could ever want and more. Speaking of simple acts that go boom, that is how the Sunbringer operates. His spell list is pretty straightforward. It asks Runah to help the faithful and block the faithless. In playtesting tonight, I got a little taste of that in the form of the Sunburn spell. And he is not just awesome in support of his freeband, he is awesome looking as well. 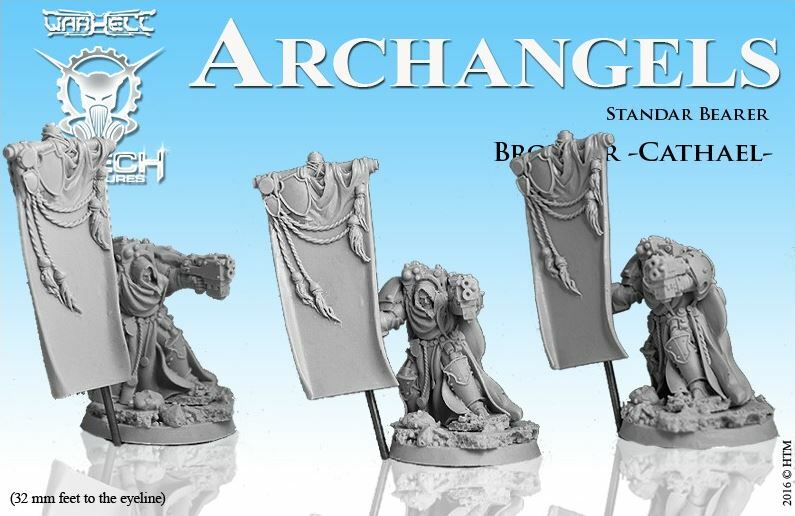 So, with our faith in you, we bring you the Traazorite Sunbringer. They are mean, cruel, malignant and power-hungry. But still need afternoon nap and someone to tie their shoes. Three demon-wannabe toddlers riding their ever hungry puppies. Here comes grim and dark sweetness. Only for a week they are available with pre-order discount. Just few new relases form us. Welcome! These are perfect for fighting each other, 1980s Russians, or Modern Western forces such as our modern US Army or our upcoming modern British. They are available now. 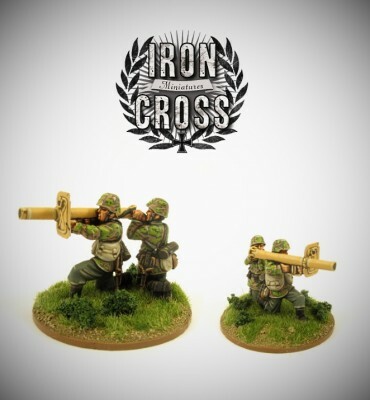 here is our Panzerschreck team, the second part of our anti tank troops. After capturing and evaluating American lend-lease Bazookas at the eastern front, the Raketenpanzerbüchse 54 (roughly translating as rocket armor rifle) was developed - in short and for the German love for abbreviations: The RPzB 54 (shout that in the midst of combat!). Colloquially known as Panzerschreck (tank dread) or Ofenrohr (stove pipe), the weapon was deployed on all fronts during the last years of the war. There it was potentially able to defeat all types of enemy armor. In our set the gunner is kneeling with the RPzB 54 ready to fire. The assistant gunner has loaded the weapon and is just connecting the wiring of the electrical ignition - thus arming the launcher. 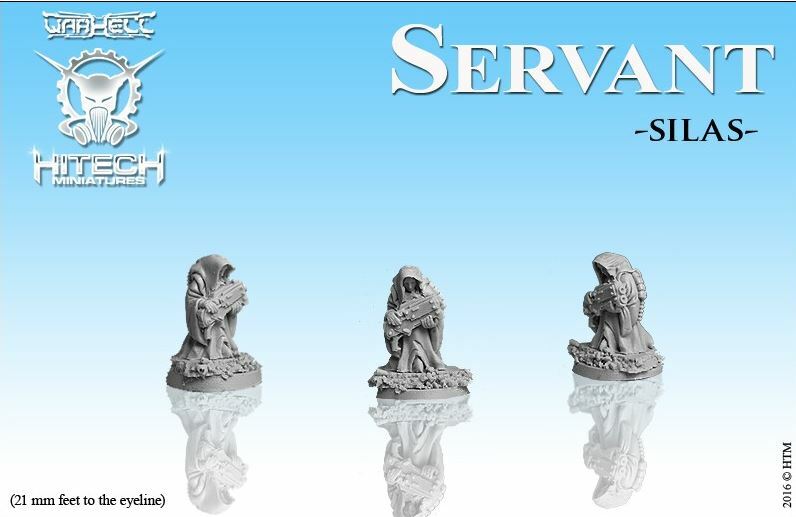 The set of two figures will be availabe for 6,90 € in a few weeks and, as always, from our webshop.